For other uses, see Monarch (disambiguation). A monarch is a sovereign head of state in a monarchy. A monarch may exercise the highest authority and power in the state, or others may wield that power on behalf of the monarch. Typically a monarch either personally inherits the lawful right to exercise the state's sovereign rights (often referred to as the throne or the crown) or is selected by an established process from a family or cohort eligible to provide the nation's monarch. Alternatively, an individual may become monarch by conquest, acclamation or a combination of means. A monarch usually reigns for life or until abdication. If a young child is crowned the monarch, a regent is often appointed to govern until the monarch reaches the requisite adult age to rule. Monarchs' actual powers vary from one monarchy to another and in different eras; on one extreme, they may be autocrats (absolute monarchy) wielding genuine sovereignty; on the other they may be ceremonial heads of state who exercise little or no direct power or only reserve powers, with actual authority vested in a parliament or other body (constitutional monarchy). A monarch can reign in multiple monarchies simultaneously. For example, the monarchy of Canada and the monarchy of the United Kingdom are separate states, but they share the same monarch through personal union. Monarchs, as such, bear a variety of titles – king or queen, prince or princess (e.g., Sovereign Prince of Monaco), emperor or empress (e.g., Emperor of China, Emperor of Ethiopia, Emperor of Japan, Emperor of India), archduke, duke or grand duke (e.g., Grand Duke of Luxembourg), emir (e.g., Emir of Qatar) or sultan (e.g., Sultan of Oman). Prince is sometimes used as a generic term to refer to any monarch regardless of title, especially in older texts. A king can also be a queen's husband and a queen can be a king's wife. If both of the couple reign, neither person is generally considered to be a consort. Monarchy is political or sociocultural in nature, and is generally (but not always) associated with hereditary rule. Most monarchs, both historically and in the present day, have been born and brought up within a royal family (whose rule over a period of time is referred to as a dynasty) and trained for future duties. Different systems of succession have been used, such as proximity of blood (male preference or absolute), primogeniture, agnatic seniority, Salic law, etc. While traditionally most monarchs have been male, female monarchs have also ruled, and the term queen regnant refers to a ruling monarch, as distinct from a queen consort, the wife of a reigning king. Some monarchies are non-hereditary. In an elective monarchy, the monarch is elected but otherwise serves as any other monarch. Historical examples of elective monarchy include the Holy Roman Emperors (chosen by prince-electors, but often coming from the same dynasty) and the free election of kings of the Polish–Lithuanian Commonwealth. Modern examples include the Yang di-Pertuan Agong of Malaysia, who is appointed by the Conference of Rulers every five years or after the king's death, and the pope of the Roman Catholic Church, who serves as sovereign of the Vatican City State and is elected to a life term by the College of Cardinals. In recent centuries, many states have abolished the monarchy and become republics (however see, e.g., United Arab Emirates). Advocacy of government by a republic is called republicanism, while advocacy of monarchy is called monarchism. A principal advantage of hereditary monarchy is the immediate continuity of national leadership, as illustrated in the classic phrase "The [old] King is dead. Long live the [new] King!". In cases where the monarch serves mostly as a ceremonial figure (e.g. most modern constitutional monarchies) real leadership does not depend on the monarch. A form of government may in fact be hereditary without being considered monarchy, such as a family dictatorship. Monarchies take a wide variety of forms, such as the two co-princes of Andorra, positions held simultaneously by the Roman Catholic Bishop of Urgel (Spain) and the elected President of France (although strictly Andorra is a diarchy). Similarly, the Yang di-Pertuan Agong of Malaysia is considered a monarch despite only holding the position for five years at a time. Hereditary succession within one patrilineal family has been most common (although, see the Rain Queen), with preference for children over siblings, sons over daughters. In Europe, some peoples practiced equal division of land and regalian rights among sons or brothers, as in the Germanic states of the Holy Roman Empire, until after the medieval era and sometimes (e.g., Ernestine duchies) into the 19th century. Other European realms practice one form or another of primogeniture, whereunder a lord was succeeded by his eldest son or, if he had none, by his brother, his daughters or sons of daughters. The system of tanistry was semi-elective and gave weight also to ability and merit. The Salic law, practiced in France and in the Italian territories of the House of Savoy, stipulated that only men could inherit the crown. In most fiefs, in the event of the demise of all legitimate male members of the patrilineage, a female of the family could succeed (semi-Salic law). In most realms, daughters and sisters were eligible to succeed a ruling kinsman before more distant male relatives (male-preference primogeniture), but sometimes the husband of the heiress became the ruler, and most often also received the title, jure uxoris. Spain today continues this model of succession law, in the form of cognatic primogeniture. In more complex medieval cases, the sometimes conflicting principles of proximity and primogeniture battled, and outcomes were often idiosyncratic. As the average life span increased, an eldest son was more likely to reach majority age before the death of his father, and primogeniture became increasingly favoured over proximity, tanistry, seniority and election. In 1980, Sweden became the first monarchy to declare equal primogeniture, absolute primogeniture or full cognatic primogeniture, meaning that the eldest child of the monarch, whether female or male, ascends to the throne. Other nations have since adopted this practice: Netherlands in 1983, Norway in 1990, Belgium in 1991, Denmark in 2009, and Luxembourg in 2011. The United Kingdom adopted absolute (equal) primogeniture on April 25, 2013, following agreement by the prime ministers of the sixteen Commonwealth Realms at the 22nd Commonwealth Heads of Government Meeting. In some monarchies, such as Saudi Arabia, succession to the throne usually first passes to the monarch's next eldest brother and so on through his other brothers, and only after them to the monarch's children (agnatic seniority). In some other monarchies (e.g. Jordan), the monarch chooses who will be his successor within the royal family, who need not necessarily be his eldest son. Whatever the rules of succession, there have been many cases of a monarch being overthrown and replaced by a usurper who would often install his own family on the throne. A series of Pharaohs ruled Ancient Egypt over the course of three millennia (circa 3150 BC to 31 BC), until it was conquered by the Roman Empire. In the same time period several kingdoms flourished in the nearby Nubia region, with at least one of them, that of the so-called A-Group culture, apparently influencing the customs of Egypt itself. From the 6th to 19th centuries, Egypt was variously part of the Byzantine Empire, Islamic Empire, Mamluk Sultanate, Ottoman Empire and British Empire with a distant monarch. The Sultanate of Egypt was a short lived protectorate of the United Kingdom from 1914 until 1922, when it became the Kingdom of Egypt and Sultan Fuad I changed his title to King. After the Egyptian Revolution of 1952 the monarchy was dissolved and Egypt became a republic. West Africa hosted the Kanem Empire (700–1376) and its successor, the Bornu principality which survives to the present day as one of the traditional states of Nigeria. In the Horn of Africa, the Kingdom of Aksum and later the Zagwe Dynasty, Ethiopian Empire (1270–1974), and Aussa Sultanate were ruled by a series of monarchs. Haile Selassie, the last Emperor of Ethiopia, was deposed in a communist coup. Various Somali Sultanates also existed, including the Adal Sultanate (led by the Walashma dynasty of the Ifat Sultanate), Sultanate of Mogadishu, Ajuran Sultanate, Warsangali Sultanate, Geledi Sultanate, Majeerteen Sultanate and Sultanate of Hobyo. Central and Southern Africa were largely isolated from other regions until the modern era, but they did later feature kingdoms like the Kingdom of Kongo (1400–1914). The Zulu people formed a powerful Zulu Kingdom in 1816, one that was subsequently absorbed into the Colony of Natal in 1897. The Zulu king continues to hold a hereditary title and an influential cultural position in contemporary South Africa, although he has no direct political power. Other tribes in the country, such as the Xhosa and the Tswana, have also had and continue to have a series of kings and chiefs whose local precedence is recognised, but who exercise no legal authority. As part of the Scramble for Africa, Europeans conquered, bought, or established African kingdoms and styled themselves as monarchs due to them. Currently the African nations of Morocco, Lesotho and Swaziland are sovereign monarchies under dynasties that are native to the continent. Places like St. Helena, Ceuta, Melilla and the Canary Islands are ruled by the Queen of the United Kingdom of Great Britain and Northern Ireland or the King of Spain. So-called "sub-national monarchies" of varying sizes can be found all over the rest of the continent, e.g. the Yoruba city-state of Akure in south-western Nigeria is something of an elective monarchy: its reigning Oba having to be chosen by an electoral college of nobles, from amongst a finite collection of royal princes of the realm. 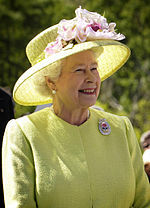 Elizabeth II has been monarch of independent countries in Europe, Asia, Africa, Oceania and the Americas. Within the Holy Roman Empire different titles were used by nobles exercising various degrees of sovereignty within their borders (see below). Such titles were granted or recognised by the Emperor or Pope. Adoption of a new title to indicate sovereign or semi-sovereign status was not always recognized by other governments or nations, sometimes causing diplomatic problems. During the nineteenth century many small monarchies in Europe merged with other territories to form larger entities, and following World War I and World War II, many monarchies were abolished, but of those remaining all except Luxembourg, Liechtenstein, Andorra, Vatican City and Monaco were headed by a king or queen. As of 2015[update] in Europe there are twelve monarchies: seven kingdoms (Belgium, Denmark, Netherlands, Norway, Spain, Sweden and the United Kingdom), one grand duchy (Luxembourg), one papacy (Vatican City), and two principalities (Liechtenstein and Monaco), as well as one diarchy principality (Andorra). 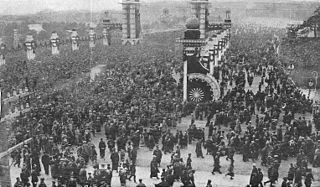 In China, before the abolition of the monarchy in 1912, the Emperor of China was traditionally regarded as the ruler of "All under heaven". "King" is the usual translation for the term wang 王, the sovereign before the Qin dynasty and during the Ten Kingdoms period. During the early Han dynasty, China had a number of kingdoms, each about the size of a province and subordinate to the Emperor. In Korea, Daewang (great king), or Wang (king), was a Chinese royal style used in many states rising from the dissolution of Gojoseon, Buyeo, Goguryeo, Baekje, Silla and Balhae, Goryeo, Joseon. The legendary Dangun Wanggeom founded the first kingdom, Gojoseon. Some scholars maintain that the term Dangun also refers to a title used by all rulers of Gojoseon, and that Wanggeom is the proper name of the founder. Gyuwon Sahwa (1675) describes The Annals of the Danguns as a collection of nationalistic legends. The monarchs of Goguryeo and some monarchs of Silla used the title "Taewang", meaning the "Great king". The early monarchs of Silla have used the title of "Geoseogan", "Chachaung", "Isageum", and finally "Maripgan" until 503. The title "Gun" (prince) can refer to the dethroned rulers of Joseon dynasty as well. Under the Korean Empire (1897–1910), the rulers of Korea were given the title of "Hwangje", meaning the "Emperor". Today, Members of the Korean Imperial Family continue to participate in numerous traditional ceremonies, and groups exist to preserve Korea's lmperial heritage. The Japanese monarchy is now the only monarchy to still use the title of Emperor. In modern history, between 1925 and 1979, Iran was ruled by two Emperors from the Pahlavi dynasty that used the title of "Shahanshah" (or "King of Kings"). The last Iranian Shahanshah was King Mohammad Reza Pahlavi, who was forced to abdicate the throne as a result of a revolution in Iran. In fact Persian (Iranian) kingdom goes back to about 2,700 BC (see List of Kings of Persia), but reached its ultimate height and glory when King Cyrus the Great (Known as "The Great Kourosh" in Iran) started the Achaemenid dynasty, and under his rule, the empire embraced all the previous civilized states of the ancient Near East, expanded vastly and eventually conquered most of Southwest Asia and much of Central Asia and the Caucasus. From the Mediterranean sea and Hellespont in the west to the Indus River in the east, Cyrus the Great created the largest empire the world had yet seen. Thailand and Bhutan are like the United Kingdom in that they are constitutional monarchies ruled by a King. Jordan and many other Middle Eastern monarchies are ruled by a Malik and parts of the United Arab Emirates, such as Dubai, are still ruled by monarchs. Saudi Arabia is the largest Arab state in Western Asia by land area and the second-largest in the Arab world (after Algeria). It was founded by Abdul-Aziz bin Saud in 1932, although the conquests which eventually led to the creation of the Kingdom began in 1902 when he captured Riyadh, the ancestral home of his family, the House of Saud; succession to the throne was limited to sons of Ibn Saud until 2015, when a grandson was elevated to Crown Prince. The Saudi Arabian government has been an absolute monarchy since its inception, and designates itself as Islamic. The King bears the title "Custodian of the Two Holy Mosques" in reference to the two holiest places in Islam: Masjid al-Haram in Mecca, and Masjid al-Nabawi in Medina. In Malaysia's constitutional monarchy, the Yang di-Pertuan Agong (The Supreme Lord of the Federation) is de facto rotated every five years among the nine Rulers of the Malay states of Malaysia (those nine of the thirteen states of Malaysia that have hereditary royal rulers), elected by Majlis Raja-Raja (Conference of Rulers). Under Brunei's 1959 constitution, the Sultan of Brunei is the head of state with full executive authority, including emergency powers, since 1962. The Prime Minister of Brunei is a title held by the Sultan. As the prime minister, the Sultan presides over the cabinet. Cambodia has been a kingdom since the 1st century. The power of the absolute monarchy was reduced when it became the French Protectorate of Cambodia from 1863 to 1953. It returned to an absolute monarchy from 1953 until the establishment of a republic following the 1970 coup. The monarchy was restored as a constitutional monarchy in 1993 with the king as a largely symbolic figurehead. In the Philippines, the pre-Colonial Filipino nobility, variously titled the harì (today meaning "king"), Lakan, Raja and Datu belonged to the caste called Uring Maharlika (Noble Class). When the islands were annexed to the Spanish Empire in the late 16th century, the Spanish monarch became the sovereign while local rulers often retained their prestige as part of the Christianised nobility called the Principalía. After the Spanish–American War, the country was ceded to the United States of America and made into a territory and eventually a Commonwealth, thus ending monarchism. While the Philippines is currently a republic, the Sultan of Sulu and Sultan of Maguindanao retain their titles only for ceremonial purposes, but are considered ordinary citizens by the 1987 Constitution. Bhutan has been an independent kingdom since 1907. The first Druk Gyalpo (Dragon King) was elected and thereafter became a hereditary absolute monarchy. It became a constitutional monarchy in 2008. Tibet was a monarchy since the Tibetan Empire in the 6th century. It was ruled by the Yuan Dynasty following the Mongol invasion in the 13th century and became an effective diarchy with the Dalai Lama as co-ruler. It came under the rule of the Chinese Qing Dynasty from 1724 until 1912 when it gained de facto independence. The Dalai Lama became absolute temporal monarch until incorporation of Tibet into the People's Republic of China in 1951. Nepal was a monarchy for most of its history until becoming a federal republic in 2008. The concept of monarchy existed in the Americas long before the arrival of European colonialists. When the Europeans arrived they referred to these tracts of land within territories of different aboriginal groups to be kingdoms, and the leaders of these groups were often referred to by the Europeans as Kings, particularly hereditary leaders. The first local monarch to emerge in North America after colonization was Jean-Jacques Dessalines, who declared himself Emperor of Haiti on September 22, 1804. Haiti again had an emperor, Faustin I from 1849 to 1859. In South America, Brazil had a royal house ruling as emperor between 1822 and 1889, under Emperors Pedro I and Pedro II. Between 1931 and 1983 nine other previous British colonies attained independence as kingdoms. All, including Canada, are in a personal union relationship under a shared monarch. Therefore, though today there are legally ten American monarchs, one person occupies each distinct position. In addition to these sovereign states, there are also a number of sub-national ones. In Bolivia, for example, the Afro-Bolivian king claims descent from an African dynasty that was taken from its homeland and sold into slavery. Though largely a ceremonial title today, the position of king of the Afro-Bolivians is officially recognized by the government of Bolivia. Polynesian societies were ruled by an ariki from ancient times. The title is variously translated as "supreme chief", "paramount chief" or "king". The Kingdom of Tahiti was founded in 1788. Sovereignty was ceded to France in 1880 although descendants of the Pōmare Dynasty claim the title of King of Tahiti. The Kingdom of Hawaii was established in 1795 and overthrown in 1893. An independent Kingdom of Rarotonga was established in 1858. It became a protectorate of the United Kingdom at its own request in 1893. Seru Epenisa Cakobau ruled the short lived Kingdom of Fiji, a constitutional monarchy, from 1871 to 1874 when he voluntarily ceded sovereignty of the islands to the United Kingdom. After independence in 1970, the Dominion of Fiji retained the British monarch as head of state until it became a republic following a military coup in 1987. Australia, New Zealand (including the Cook Islands and Niue), Papua New Guinea, Solomon Islands and Tuvalu are sovereign states within the Commonwealth of Nations that currently have Elizabeth II as their reigning constitutional monarch. The Pitcairn Islands are part of the British Overseas Territories with Elizabeth II as the reigning constitutional monarch. Tonga is the only remaining sovereign kingdom in Oceania. It has had a monarch since the 10th century and became a constitutional monarchy in 1875. In 2008, King George Tupou V relinquished most of the powers of the monarchy and the position is now largely ceremonial. In New Zealand the position of Māori King was established in 1858. The role is largely cultural and ceremonial, and has no legal power. Uvea, Alo and Sigave in the French territory of Wallis and Futuna have non-sovereign elective monarchs. For commonly used names for specific monarchs, see List of monarchs by nickname. The usage and meaning of a monarch's specific title has historically been defined by tradition, law and diplomatic considerations. Note that some titles borne by monarchs have several meanings and may not exclusively designate a monarch. A Prince may be a person of royal blood (some languages uphold this distinction, see Fürst). A Duke may belong to a peerage and hold a dukedom (title) but no duchy (territory). In Imperial Russia, a Grand Duke was a son or patrilineal grandson of the Tsar or Tsarina. Holders of titles in these alternative meanings did not enjoy the same status as monarchs of the same title. Within the Holy Roman Empire, there were numerous titles used by noblemen whose authority within their territory sometimes approached sovereignty, even though they acknowledged the Holy Roman Emperor as suzerain; Elector, Grand Duke, Margrave, Landgrave and Count Palatine, as well as secular princes like kings, dukes, princes and "princely counts" (Gefürstete Grafen), and ecclesiastical princes like Prince-Archbishops, Prince-Bishops and Prince-Abbots. A ruler with a title below emperor or king might still be regarded as a monarch, outranking a nobleman of the same ostensible title (e.g., Antoine, Duke of Lorraine, a reigning sovereign, and his younger brother, Claude, Duke of Guise, a nobleman in the peerage of France). The table below lists titles in approximate order of precedence. According to protocol any holder of a title indicating sovereignty took precedence over any non-sovereign titleholder. Pope Women cannot hold the office of Pope Papacy Successor of St. Peter, Bishop of Rome, Head of the Roman Catholic Church, Monarch of the Papal States and later Sovereign of the State of Vatican City. As senior ruler in Medieval Christendom, the Pope held precedence over all other titles and offices. The Papacy is a celibate office always forbidden to women; in English however, reports of female popes such as (Pope Joan) refer to them as pope and Popess; the term is used, among other things, for the second trump in the Tarot deck; some European languages also have a feminine form of the word pope, such as the Italian papessa, the French papesse, the Portuguese papisa and the German Päpstin. Emperor Empress Empire Today: Japan (the only remaining enthroned emperor in the world). Historical: Roman Empire, Byzantine Empire, First and Second Bulgarian Empire, Serbian Empire, Holy Roman Empire, Russian Empire, Korean Empire, Mongol Empire, Imperial China, First and Second French Empire, Austrian Empire, First Mexican Empire, Empire of Brazil, German Empire (none left in Europe after 1918), Emperor of India (ceased to be used after 1947 when India was granted independence from the British Empire). The German title Kaiser and the Bulgarian/Serbian title Tsar were both derived from the Latin word Caesar, intended to mean Emperor. One of the titles of the Sultan of the Ottoman Empire was Kaysar-i-Rûm (Emperor of Rome), Kaysar being a rough transliteration of Caesar (Emperor) into Ottoman Turkish. Kaisar-i-Hind, derived from the German word Kaiser, was the Urdu translation of "Emperor of India". King Queen Kingdom Common in larger sovereign states. Similar titles on other Germanic languages, e.g. Konge/Dronning in Danish, Koning/Koningin in Dutch, König/Königin in German. Viceroy Vicereine Viceroyalty Historical: Spanish Empire (Viceroy of Peru, Viceroy of New Spain, Viceroyalty of Rio de la Plata, Viceroyalty of New Granada), Portuguese Empire (Viceroy of India, Viceroy of Brazil), British Empire (Viceroy of India), Russian Empire (Viceroyalty of the Caucasus). The title Viceré was used in the Italian Colonial Empire. An equivalent office called the "Exarch" was used in the Byzantine Empire. Grand Duke Grand Duchess Grand Duchy Today: Grand Duchy of Luxembourg. Historical examples include Grand Duchy of Moscow, Grand Duchy of Finland and Grand Duchy of Tuscany. Duke Duchess Duchy, Dukedom There are no remaining independent duchies, although there are the sub-national Duchies of Cornwall and Lancaster in England. Historical examples include the Duchy of Normandy, Duchy of Milan and Duchy of Prussia . Prince Princess Principality, Princely state, Princedom Today: Monaco, Liechtenstein, Sovereign Military Order of Malta; Andorra (Co-Princes). Historical: Principality of Albania, Serbia. Self-proclaimed micronations claiming to be principalities include the Sealand, Seborga and Hutt River. Marquis Marquise Marquisate/March A continental rank below that of a Duke but above a Count. British version is Marquess. Although Margrave shares word-origin, in Germany it referred to rulers (of Margraviates) rather than nobles. Historical examples: Marquess of Queensbury, Marquisate of Saluzzo, Marquisate of Mantua. Count/Earl Countess County/Earldom/Shire Count is most common term for a continental, middle-ranked noble. British equivalent is Earl (whose female counterpart or wife is "Countess"). There are no remaining independent counties and the word county is used to denote an administrative district. Historical examples include County of Toulouse, County of Castile, County of Barcelona and Earldom of Orkney. Etymological equivalent male/female/territory titles include Comte/Comtesse/Comté in French, Conte/Contessa/Contea in Italian, Conde/Condesa/Condado in Spanish, Conde/Condessa/Condado in Portuguese, Graf/Gräfin/Grafschaft in German, Graaf/Gravin/Graafschap in Dutch, Greve/Grevinna/Grevskap in Swedish. Viscount Viscountess Viscountcy Literally a vice or deputy count, from visconte in Old French. Vicomte is the equivalent in modern French. Vizconde is the equivalent in Spanish. The German Burggraf and Dutch Burggraaf are historical equivalents although they are not translated as "Viscount"; a rank above Baron but below Count. There are no remaining viscountcies but Viscount remains a title in Belgium, France, Spain and the UK. Historical examples: Viscountcy of Béarn, Burgraviate of Nuremberg (Burggrafschaft Nürnberg). Baron Baroness Barony The equivalent title is still legally borne in Belgium, Denmark, France, Netherlands, Spain, Sweden and the United Kingdom. Surviving examples include Kendal and Westmorland in England, the Lordship and Barony of Hailes in Scotland and Barony Rosendal in Norway. Equivalent titles include Barone in Italian, Barón in Spanish, Barão in Portuguese, Boyar in Bulgarian, Wallachian, and Moldavian, Freiherr in German (sometimes used concurrently with Baron), Friherre is the title in the nobility of Sweden while the spoken address is Baron, Vapaaherra in the nobility of Finland. Sultan Sultana Sultanate Used throughout the Muslim world. Equivalent to King. Current examples: Brunei, Oman, states of Malaysia. Historical examples: Seljuk Sultanate, Delhi Sultanate, Sultanate of Malacca, Warsangali Sultanate. Harì/Lakan/Datu Reyna/Dayang Kingdom One of many ancient titles adopted by the Maharlika caste in pre-colonial Philippines. Harì survives today as a generic Filipino word for "king", while reyna is a Spanish loanword. Dayang (loosely, "princess") was another title for royal ladies, e.g. the queen regnant Dayang Kalangitan of Tondo. Malik Malikah/Malekeh Mamlaka Used throughout the Muslim world. Equivalent to King. Current examples: Bahrain, Jordan, Morocco. Also used by tribal leaders among the Pashtun people. Historical examples: Malik al-'Iraq ("King of Iraq"), Malik al-Mamlaka al-Mutawakkiliyya al-Yamaniyya ("King of the Mutawakkilite Yemeni Kingdom"). Emir Emira Emirate Used throughout the Muslim world. Roughly equivalent to Prince. Current examples: constituent emirates of the United Arab Emirates, Kuwait, Qatar. Historical examples: Emirate of Crete, Emirate of Córdoba, Emirate of Afghanistan. Caliph Caliphate Used throughout the Muslim world. Equivalent to Emperor. There are no current recognised caliphates. Historical examples: Rashidun Caliphate, Umayyad Caliphate, Caliphate of Córdoba, Abbasid Caliphate, Ottoman Caliphate . Samraat Samrãjñī Samrajya Ancient Indian title sometimes translated into modern English as Emperor. Chhatrapati Indian royal title most equivalent to Emperor. Maharaja Maharani Princely state Used historically princely states in South Asia. A "high king" above a Raja. Raja Rani Raj Used historically in princely states in South Asia and pre-colonial chiefdoms in the Philippines. Equivalent to King. Arasan Arasi Arasangam Tamil titles used in ancient Tamilakam. The emperor title was called "Perarasan" and his realm was a "Perarasu". The word "Arasangam" is used today for the government. Nawab Begum Used historically for semi-autonomous Muslim rulers of princely states in South Asia. Padishah A superlative title equivalent to "Great King" or "King of Kings". Used historically by several West Asian empires such as the Shāhanshāh of Iran (King of Kings of Persia), Mughal Emperors of the Indian Subcontinent (who used the Arabic version of the title, Badshah) and Sultan of the Ottoman Empire. Shah Shahbanu Used historically in Persia, Greater Iran and the Mughal Empire. Variously translated into English as King or Emperor. Khan Khatun Khanate Imperial rank in the Mongolian and Turkic languages equal to the status of King. Historical examples: Khanate of Kazan, Crimean Khanate. Pharaoh Pharaoh Used historically in Ancient Egypt. Satrap Satrap Used historically in Ancient Persia to refer to local rulers of provinces under the Persian King. Also used for provincial rulers of Alexander the Great's Empire. Khedive Khedivate Largely equivalent to Viceroy in the Ottoman Empire. Examples: Khedivate of Egypt. When a difference exists below, male titles are placed to the left and female titles are placed to the right of the slash. Negus Emperor of Ethiopia; properly Negus Negust, meaning "King of Kings". Also used among the Tigrayans and in Eritrea to refer to kings. Datu title of leaders of small principalities in Ancient Philippines; equivalent to "Prince". Emperor of China Also known as Huángdì, rule the Imperial China with supreme power. Preah Karuna Preah Bat Sâmdech Preah Bâromneath King of Cambodia Khmer, the title literally means "The feet of the Greatest Lord who is on the heads (of his subjects)" (This royal title does not refer directly to the king himself but to his feet, according to traditions). Rajah pre-colonial title for monarchs in the Philippines; equivalent of "king" (pronounced "RA-ha" due to Spanish influence). Rawal or Maharawal Used in northern and western India, Yaduvanshis. Susuhunan or Sunan The Indonesian princely state of Surakarta. Sayyid Honorific title given throughout the Islamic regions. Title given to males accepted as descendants of the Islamic prophet Muhammad. Syed/Sharifah in Perlis if suffixed by the royal clan name, is roughly equivalent to Prince or Princess. Sultan Aceh, Brunei Darussalam, Java, Oman, Malaysia, Sultan is the title of seven (Johor, Kedah, Kelantan, Pahang, Perak, Selangor, and Terengganu) of the nine rulers of the Malay states. Wang Pre-Imperial China/Russia. "King" is the usual translation for the Chinese term wang 王.
Tlatoani Nahuatl King. The word literally means "speaker", but may be translated into English as "king"
Sapa Inca also known as Apu ("divinity"), Inka Qhapaq ("mighty Inca"), or simply Sapa ("the only one") was the ruler of the Kingdom of Cusco and later, the Emperor of the Inca Empire (Tawantinsuyu). Brenin/Brenhines, Welsh for king and queen; used in Wales by the petty kinglets during the Early Middle Ages. During the High Middle Ages, the kinglets mediatised into principalities and employed the title 'prince/princess' (tywysog/tywysoges). Brenhines is the title used in Welsh for Queen Elizabeth II of the United Kingdom. Knyaz, Knez Slavic title in: Bulgaria, Kievan Rus and Rusia, Great Moravia, Bohemia, Slovakia, Croatia, Serbia, Lithuania(Grand Duchy of Lithuania). Generally translated as "prince" or "duke". Mir A title given to Kurdish rulers in Kurdistan during medieval centuries. Chieftain Leader of a tribe or clan. Houʻeiki, matai, aliʻi, tūlafale, tavana, ariki, Patu-iki Usually translated as "chief" in various Polynesian countries. Mo'i Normally translated as King, a title used by Hawaiian monarchs since unification in 1810. The last person to hold that title was Queen Lili'uokalani. Claiming an existing title, challenging the current holder. This has been very common historically. For centuries, the British monarch used, among his other titles, the title King of France, despite the fact that he had had no authority over mainland French territory since the sixteenth century. Other cases include the numerous antipopes who have claimed the Holy See. Retaining the title of an extinct monarchy. This can be coupled with a claim that the monarchy was in fact never, or should never have been, extinct. An example of the first case is the Prince of Seborga. 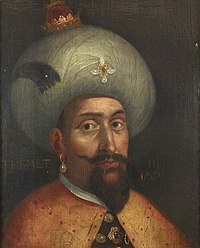 Examples of the second case are several deposed monarchs or otherwise pretenders to thrones of abolished monarchies, e.g., Leka, Crown Prince of Albania who is styled by some as the "King of The Albanians". Retaining the title of an extinct monarchy can, however, be totally free of claims of sovereignty, for example it was customary in numerous European monarchies to include "King of Jerusalem" in their full titles. When it comes to deposed monarchs, it is customary to continue the usage of their monarchical title (e.g., Constantine II, King of the Hellenes) as a courtesy title, not a constitutional position, for the duration of their lifetime. However the title then dies with them and is not used by subsequent heirs or claimants unless the crown is restored constitutionally. Monarchs who have freely abdicated are sometimes addressed by a lesser style (although, see Juan Carlos I of Spain and Jean, Grand Duke of Luxembourg. However, where a monarch abdicated under duress (e.g., Michael I of Romania), it is usual (especially outside their former realm) to continue to use their monarchical style for their lifetime as a traditional courtesy. Inventing a new title. This is common among founders of micronations, and also may or may not come with a claim of sovereignty, not usually recognised abroad. A notable example is Paddy Roy Bates, styling himself the "Prince of Sealand", but not recognized as such by any national government, thus failing at least the constitutive condition for statehood (see Sealand for a fuller discussion of his claims). Another known example is that of Norton I, who invented the title "Emperor of the United States of America" and later declared himself "Protector of Mexico". Usage of a monarchical title by a fictional character. This is common in fairy tales and other works geared to children, as well as works of fantasy. Examples include Princess Leia and Princess Summerfall Winterspring. Honorific nicknames in popular music and other aspects of popular culture, such as "King of Rock and Roll", Count Basie or Emperor Norton. ^ "monarch". Oxford Dictionaries. 2014. ^ Pine, L.G. (1992). Titles: How the King became His Majesty. New York: Barnes & Noble. p. 86. ISBN 978-1-56619-085-5. ^ SOU 1977:5 Kvinnlig tronföljd, p. 16. ^ "Overturning centuries of royal rules". BBC News. 28 October 2011 – via www.bbc.com. ^ "New Ducal succession rights for Grand Duchy". luxtimes.lu. ^ "Courtly Lives - Four Indian Kings". www.angelfire.com. ^ L Gomes. 1889: como um imperador cansado, um marechal vaidoso e um professor injustiçado contribuíram para a o fim da monarquia e programação da republica no Brasil. Globo Livros. 2013. ^ a b c d e f g h i j k The Wordsworth Dictionary of Phrase and Fable. Wordsworth Reference. 2001. pp. 943–944. ISBN 978-1-84022-310-1. Girard, Philippe R. (2011). 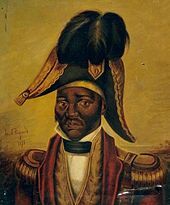 The Slaves Who Defeated Napoleon: Toussaint Louverture and the Haitian War of Independence 1801–1804. Tuscaloosa, Alabama: The University of Alabama Press. ISBN 978-0-8173-1732-4. Schutt-Ainé, Patricia (1994). Haiti: A Basic Reference Book. Miami, Florida: Librairie Au Service de la Culture. pp. 33–35, 60. ISBN 978-0-9638599-0-7. TiCam (27 September 2006). "17 October: Death of Dessalines". haitiwebs.com. Archived from the original on 28 September 2007. Retrieved 16 October 2006. Look up monarch or kingship in Wiktionary, the free dictionary. Sultan is a position with several historical meanings. Originally, it was an Arabic abstract noun meaning "strength", "authority", "rulership", derived from the verbal noun سلطة sulṭah, meaning "authority" or "power". Later, it came to be used as the title of certain rulers who claimed almost full sovereignty in practical terms, albeit without claiming the overall caliphate, or to refer to a powerful governor of a province within the caliphate. The adjective form of the word is "sultanic", and the dynasty and lands ruled by a sultan are referred to as a sultanate. Mahārāja is a Sanskrit title for a "great ruler", "great king" or "high king". A few ruled mighty states informally called empires, including ruler Maharaja Ranjit Singh, founder of the Sikh Empire, and Maharaja Sri Gupta, founder of the ancient Indian Gupta Empire, but 'title inflation' soon led to most being rather mediocre or even petty in real power, while compound titles were among the attempts to distinguish some among their ranks. Fürst is a German word for a ruler and is also a princely title. Fürsten were, since the Middle Ages, members of the highest nobility who ruled over states of the Holy Roman Empire and later its former territories, below the ruling Kaiser (emperor) or König (king). Traditional rank amongst European royalty, peers, and nobility is rooted in Late Antiquity and the Middle Ages. Although they vary over time and among geographic regions, the following is a reasonably comprehensive list that provides information on both general ranks and specific differences. The Monarchy of Denmark, colloquially known as the Danish Monarchy, is a constitutional institution and a historic office of the Kingdom of Denmark. The Kingdom includes not only Denmark, but the autonomous regions of Greenland and the Faroe Islands. 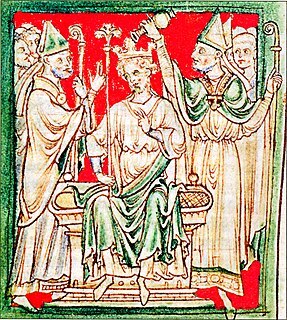 The Kingdom of Denmark were already consolidated in the 8th century, whose rulers are consistently referred to in Frankish sources as Kings (Reges). Under the rule of King Gudfred in 804 the Kingdom may have included all the major provinces of medieval Denmark The current unified kingdom of Denmark was founded by the Viking kings Gorm the Old and Harald Bluetooth in the 10th century, making the monarchy of Denmark the third oldest in Europe. Originally an elective monarchy, it became hereditary only in the 17th century during the reign of Frederick III. A decisive transition to a constitutional monarchy occurred in 1849 with the writing of the first Constitution. The current Royal House is a branch of the princely family of Glücksburg, originally from Schleswig-Holstein in modern-day Germany, the same royal house as the Norwegian and former Greek royal families. King, or king regnant is the title given to a male monarch in a variety of contexts. The female equivalent is queen regnant, while the title of queen on its own usually refers to the consort of a king. In the context of prehistory, antiquity and contemporary indigenous peoples, the title may refer to tribal kingship. Germanic kingship is cognate with Indo-European traditions of tribal rulership. In the context of classical antiquity, king may translate in Latin as rex and in Greek as archon or basileus. In classical European feudalism, the title of king as the ruler of a kingdom is understood to be the highest rank in the feudal order, potentially subject, at least nominally, only to an emperor. In a modern context, the title may refer to the ruler of one of a number of modern monarchies. The title of king is used alongside other titles for monarchs: in the West, prince, emperor, archduke, duke or grand duke, and in the Middle East, sultan or emir, etc.